Though talking about segments is nice when you're reviewing cars, buyers don't necessarily care. In fact, buyers are more likely to look at vehicles that are closer to their price range than what may or may not be in a particular class. The 2017 Honda CR-V and the 2017 Ford Edge are two such vehicles. Does the CR-V outmaneuver the bigger Edge? Or does the Edge crush its competition? Especially for a compact car, the 2017 Honda CR-V is spacious for both front and back seat passengers, with just less than half an inch difference in head and leg room versus the bigger Ford Edge. The CR-V seats five and boasts a huge 39 cubic feet of cargo space. Need more room? The back seats fold down to almost double that space. The SUV's interior oozes class, with soft-touch materials and wood trim in premium models. The Ford Edge is no doubt luxurious for its class, with the same soft-touch plastics that grace the CR-V. Like the Honda CR-V, the Ford Edge seats five in two rows. The larger Edge is roomy for its class, which makes the Honda CR-V's similar spaciousness all the more impressive. The Edge's cargo capacity is 39.2 cubic feet, virtually the same as the CR-V's, except that when the second row folds down, the CR-V has even more room for luggage and groceries. The Honda CR-V has plenty of tech to keep drivers happy. The base model offers a 5-inch display screen, four-speaker audio system, Bluetooth, and USB port. Honda has provided a convenient volume knob and buttons for the climate controls for quick adjustments while on the road. Other technology features can be a part of add-on packages, and can include remote start, proximity key, push-button start, a nine-speaker audio system, satellite radio, HD Radio, 7-inch touch-screen infotainment system with navigation and Apple CarPlay/Android Auto. Unfortunately, the Honda infotainment system isn't as responsive as those of similarly priced models. The Ford Edge also has plenty of tech options, like a power tailgate, Bluetooth, USB, four 12-volt charging ports, proximity key, rearview camera, MyKey system for teens' parents, and Apple CarPlay/Android Auto. The optional Sync 3 infotainment system is arguably better than Honda's, and other additional options include a 6-speaker audio system, USB, Bluetooth connectivity, rear entertainment system for the kids, auto parking system, and a 110-volt household-style outlet. The lighter Honda CR-V really shines in fuel economy, offering 27/33 miles per gallon. On top of that, the CR-V has decent acceleration for its class, excellent handling, and unparalleled breaking. Drivers say it's one of the smoothest rides today. Not only does the Honda have outstanding fuel economy, but it performs extraordinarily well on the road. The Ford Edge also has good acceleration and performance for its class, but you'll pay more at the gas pump. Due to its heavier weight, the Edge only earns 17/26 miles per gallon. The extra weight might be worth it for more passenger or cargo room, but the fractionally larger cabin might not be worth the increased price at the pump. 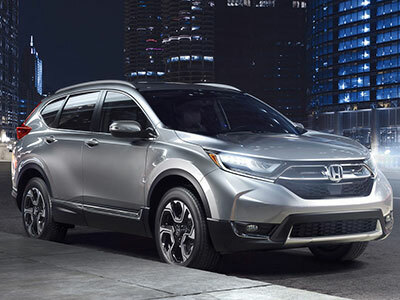 The Honda CR-V earned a perfect five-star safety rating, and offers safety features such as a rearview camera, the Honda Sensing system that alerts you to obstacles ahead, forward collision warning, automatic emergency braking, lane departure warning, lane keep assist, adaptive cruise control, blind spot monitoring, rear cross traffic alert, and road departure mitigation. 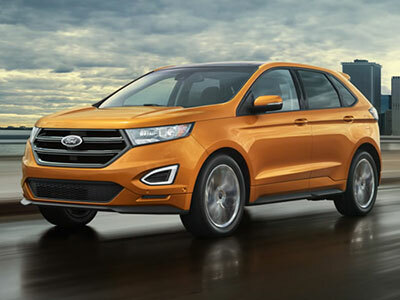 The Ford Edge also scored a five-star rating and boasts safety features such as an automatic emergency braking system. Those other active safety features are optional, but include forward-facing camera to aid in parking, blind-spot monitoring, forward-collision and lane-keeping warning systems, inflatable rear safety belts, and parking-assist system. This is a close matchup, between the 2017 Honda CR-V and Ford Edge. Both SUVs have premium interiors, lots of technology, and excellent safety ratings, but the Honda CR-V edges out the Edge is just about all of them.